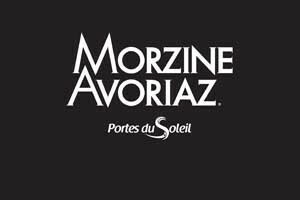 During your ski holiday with us in Morzine, you will have the opportunity to try many old and new snow sports in the vast domain of the Portes du Soleil. Whether you are a complete newcomer to skiing or dream of perfecting your technique on the slopes, qualified and experienced instructors of our ski and snowboard schools are at your disposal for tuition. Morzine ski lessons come in a wide choice of courses, with flexible hours to match your needs for fun and tuition during your holiday. From fun initiation classes for children, individual or group courses for adults, tuition for technical improvement or for advanced skiers, preparation for off-piste skiing. You will also find top instructors for tuition in snowboarding in both, freeride and freestyle techniques… select your ski school and look forward to high quality, enjoyable ski lessons in Morzine! Benefit from our experience. B ski garantees you an unforgettable moment.